Customer Experience – your number one competitive advantage … particularly in these tough economic times. It’s a bold statement, but one that is supported by extensive empirical research. Graham Harvey from Service EQ is back in December presenting his highly acclaimed Design! Deliver! Delight! Service Excellence workshop series across the region . On your behalf, we have again negotiated a significant saving for interested MRBTA members. After seeing Graham’s presentation at the AHA Hospitality Expo, I knew his workshop was just what we needed to empower our business. Graham thoroughly engaged our team leaders with exciting insights into the delivery of excellence in customer service. For us, it was about nurturing our own culture with a deeper understanding of the most essential elements of service. Design! Deliver! Delight! has brought some really great stuff out of our team, and four weeks later we are still gaining momentum. I would highly recommend Service EQ to any business that wants to gain a competitive advantage by earning lots of rave reviews! Graham was just the tonic we needed to help us refresh our brain power and thinking and from that develop our own strategies to moving forward and giving us a point of difference in our services offered. Graham is passionate about his programme [Design, Deliver, Delight], is himself customer service driven, and delivers his training in an engaging, collaborative, thoughtful, and easy to listen to style. The senior executive team enjoyed the session very much and we commenced exploring the ideas that came out of the workshop straight away. ways to improve our customer journey, thanks to the Service EQ workshop. and ideas they could take back to assist them with running their respective Caravan Parks. service in the dynamic and changing tourism market. Business today is all about experience, the all-encompassing multi-sensory experience that customers encounter when they do business with you … a customer experience that they use to judge whether or not your business continues to deserve their custom; to remain loyal, or to leave and take their business elsewhere. 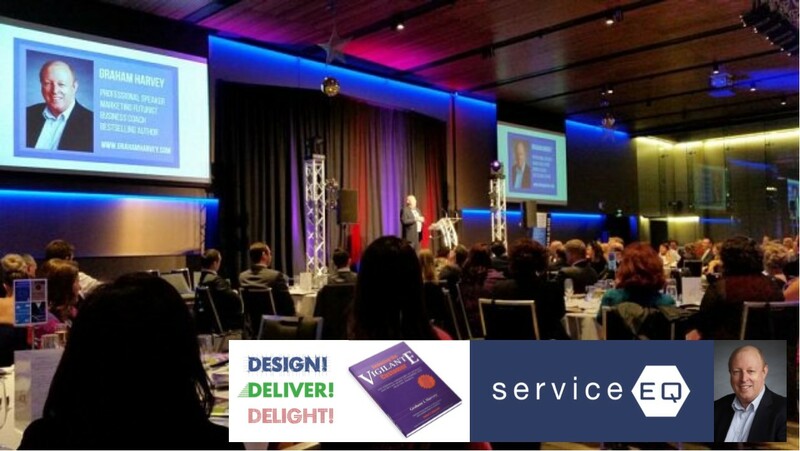 ·4 hours jam packed full of the latest information and research on service design, customer experience and relationship marketing with a ton of take home value and easy to implement strategies. ·A copy of Graham’s powerful 190-point Customer Experience Performance Evaluation Checklist.